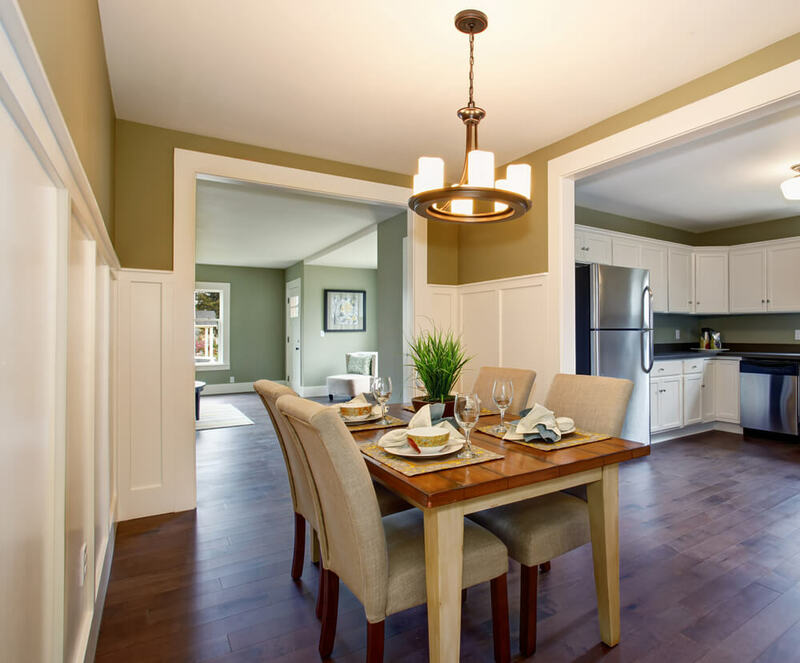 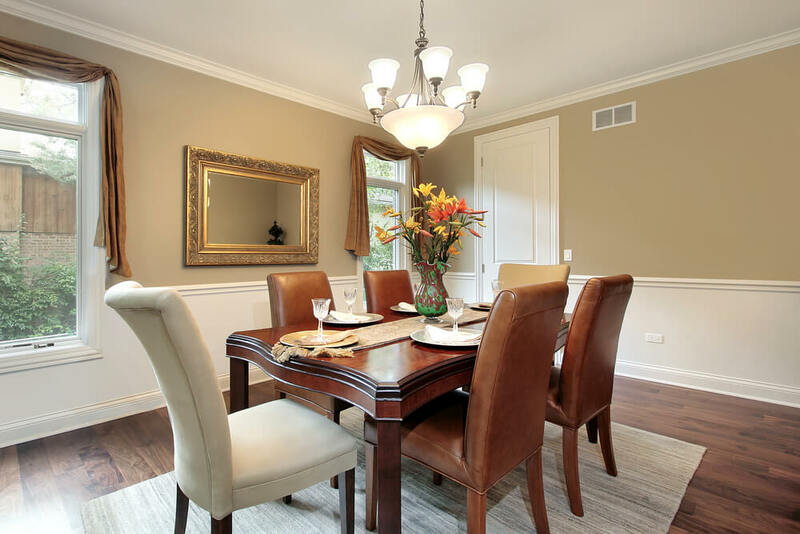 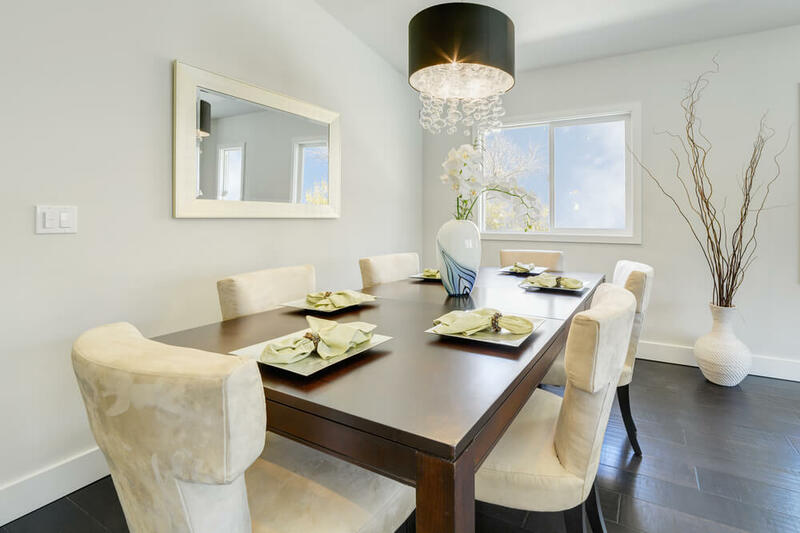 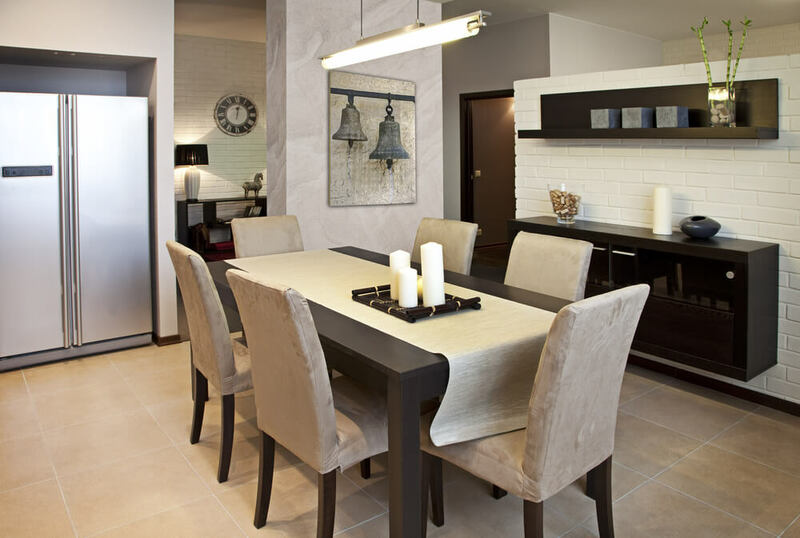 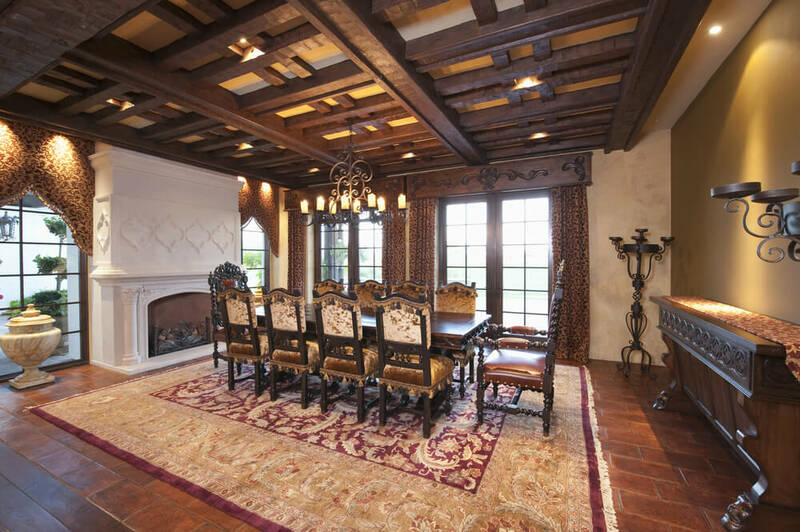 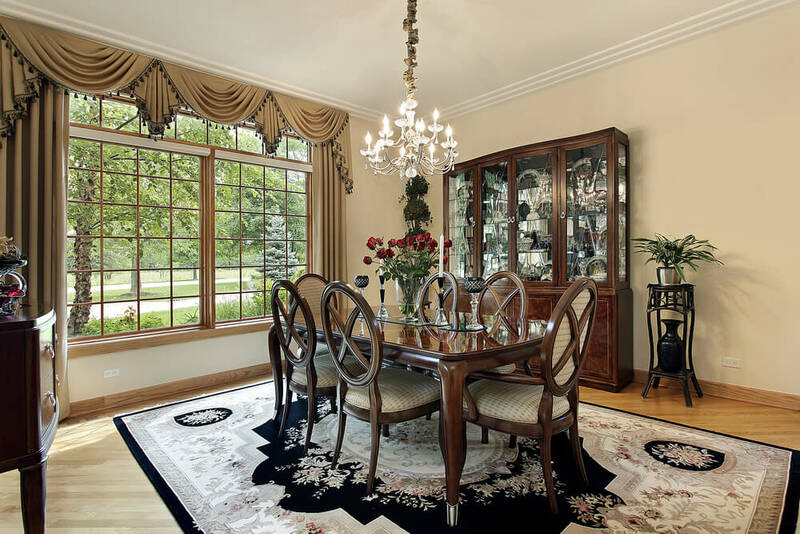 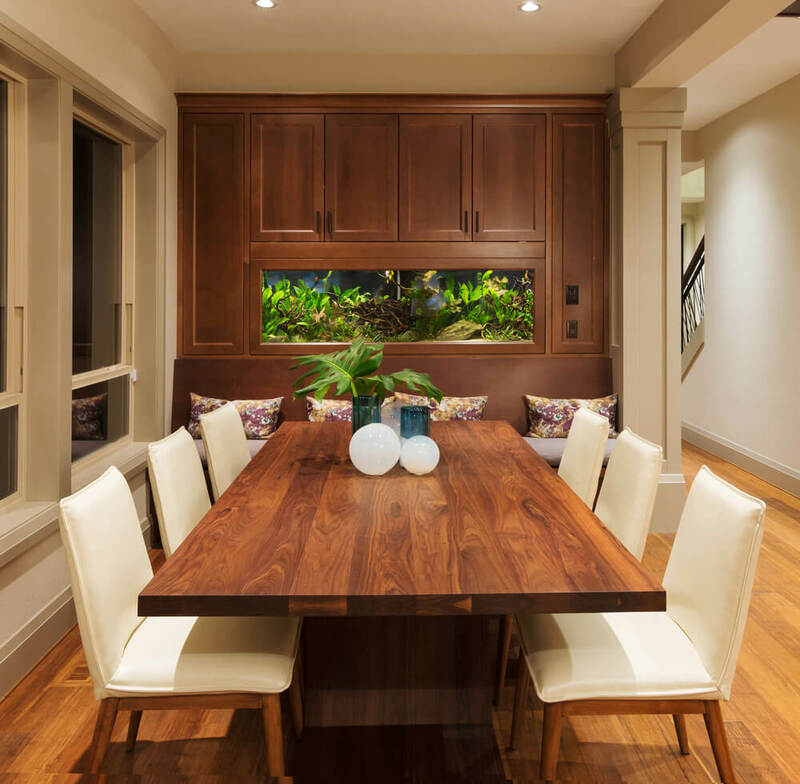 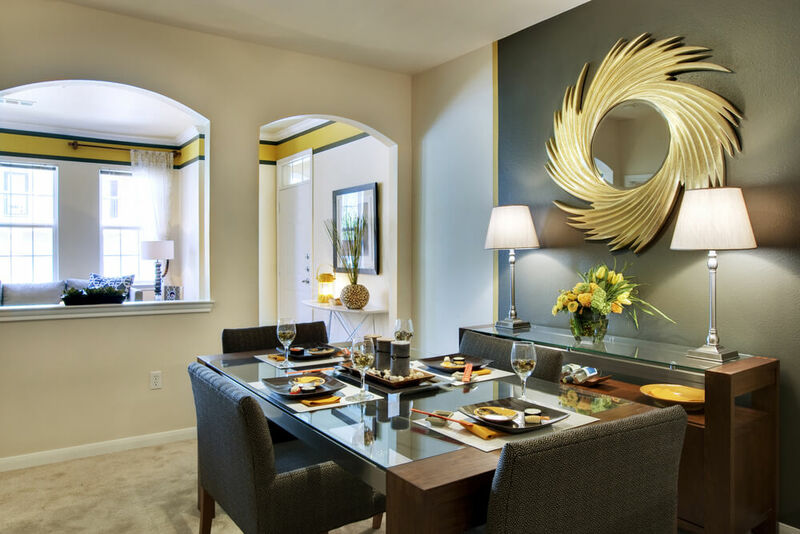 A dining room is designed to house family and friends in a comfortable and inviting setting. 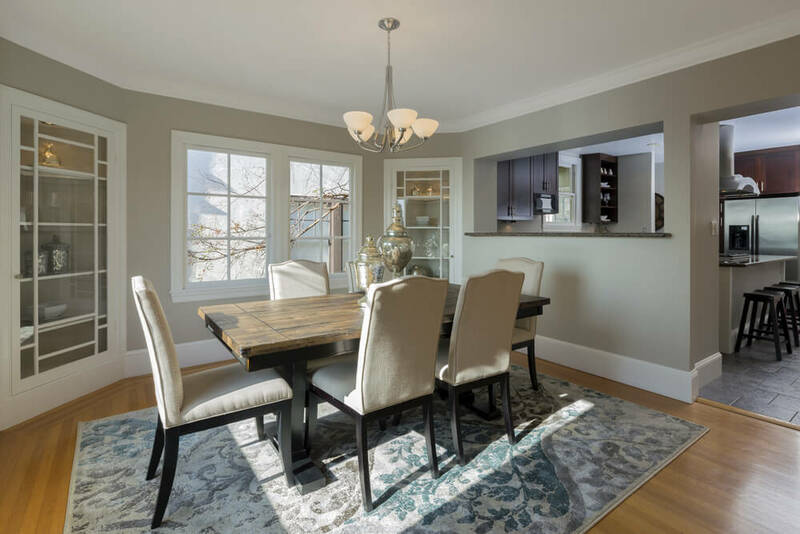 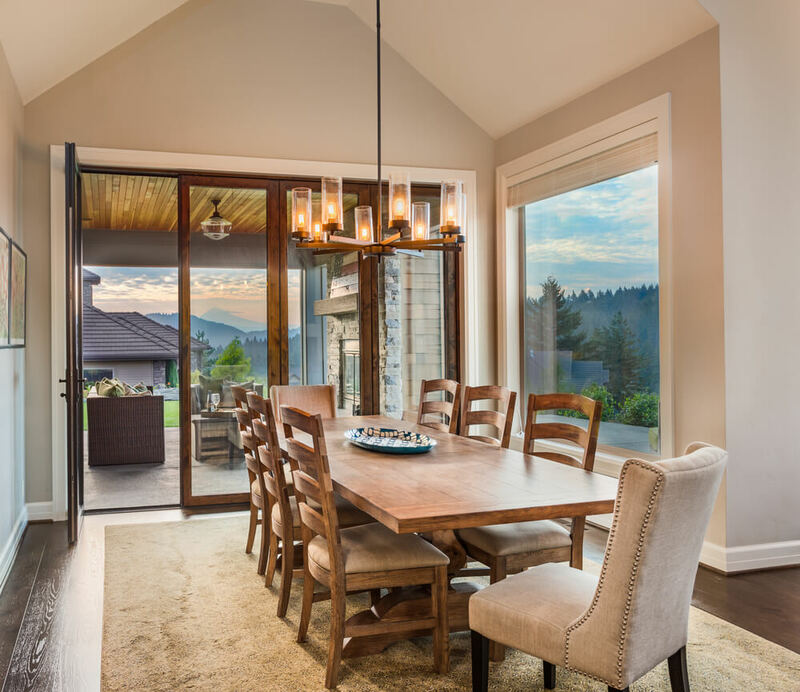 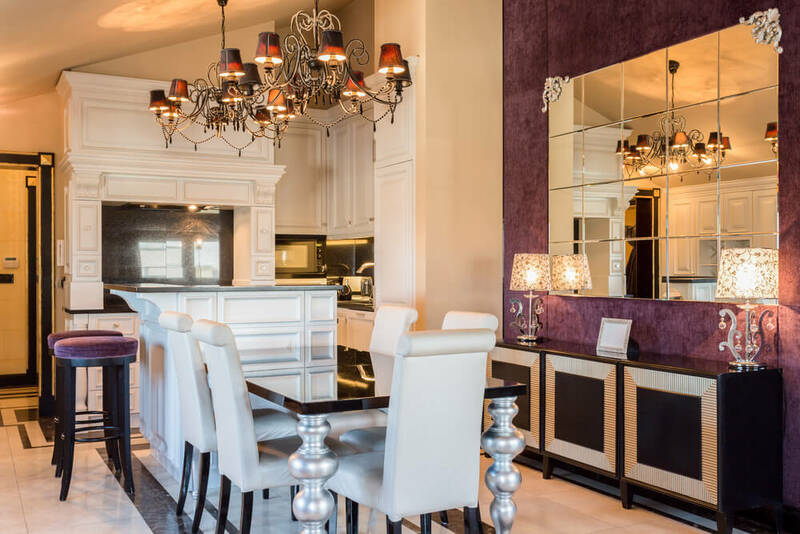 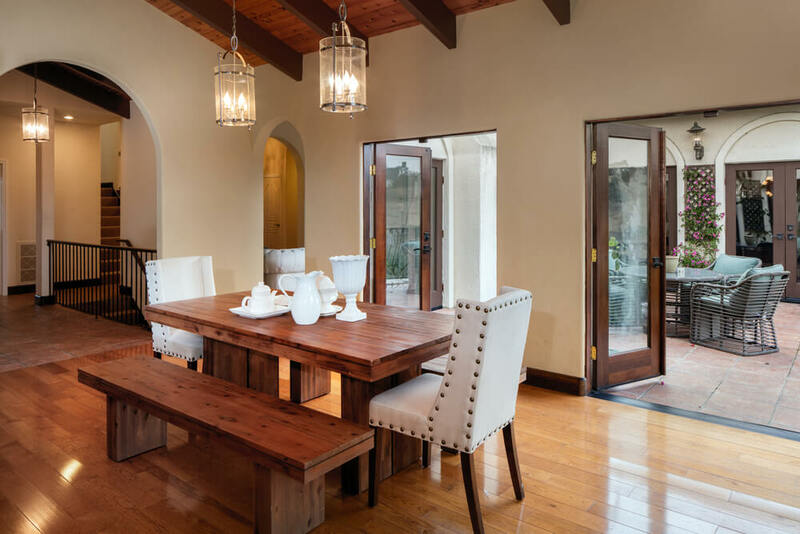 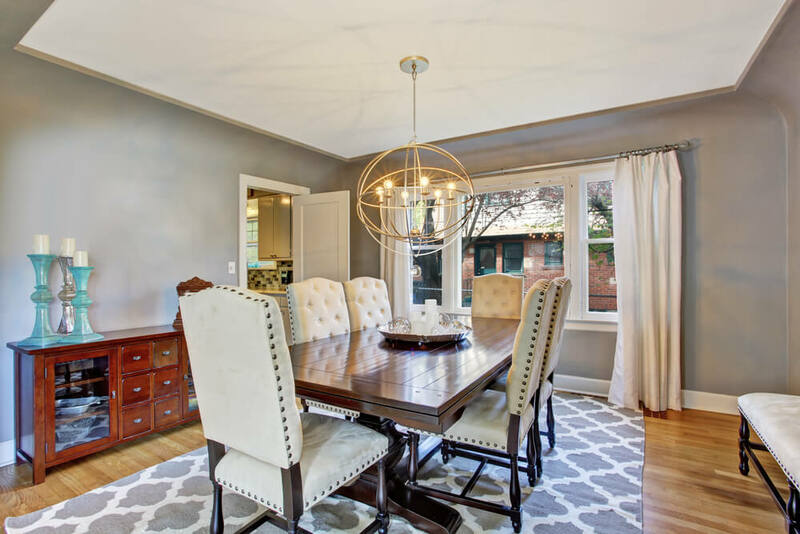 The perfect selection of lighting, paint colors, furniture and accessories can thoroughly transform a dining room into a space that can be enjoyed by all. 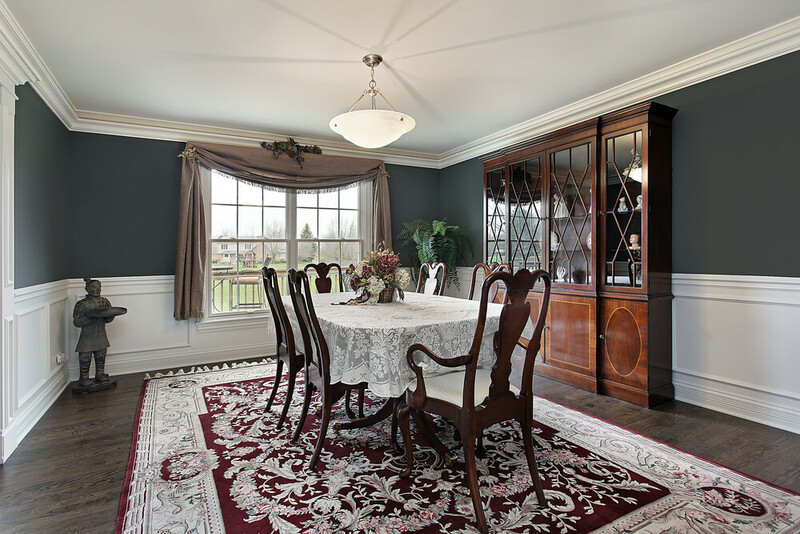 The color of your dining room will determine the mood of the space. 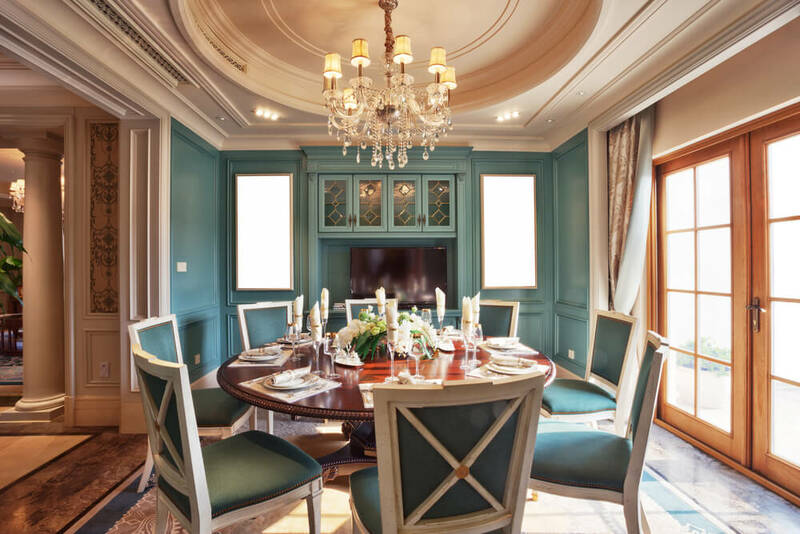 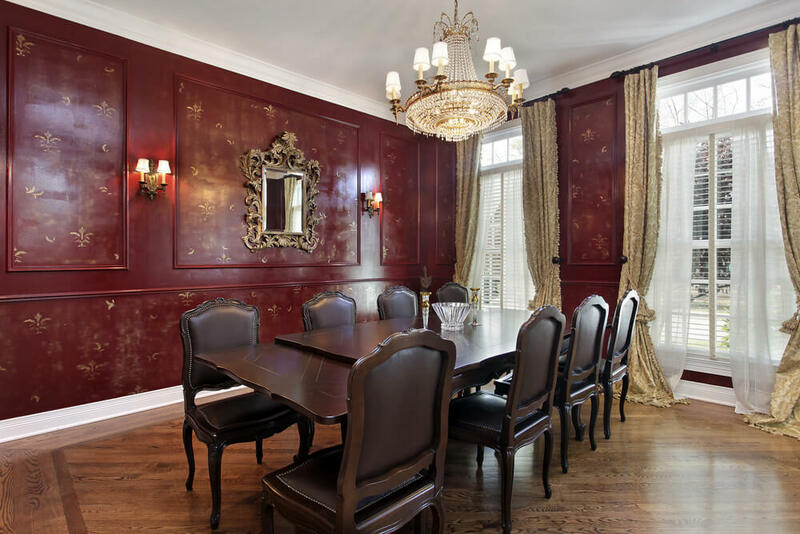 If you want a dining room that has the right amount of drama and ambience for dinner parties than you should consider painting your walls in jewel tones such as a deep emerald green, a rich sapphire or an earthy burgundy. 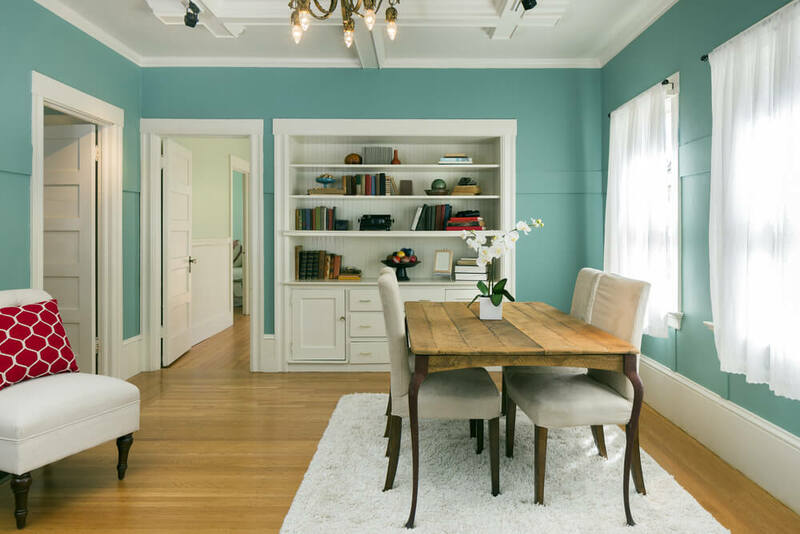 If you wish your dining room to be more conducive to family dinners and children’s birthday parties then colors that are cheery and bright will be ideal. 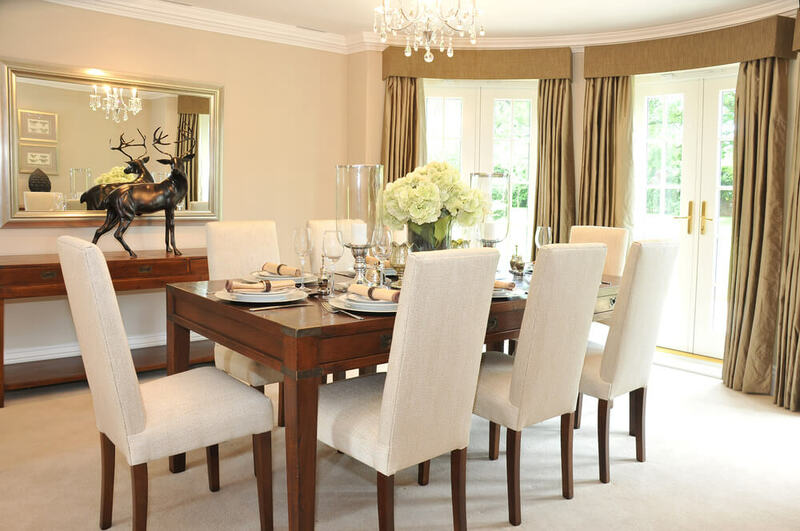 Choose warm yellows, light blues and delicate greens. 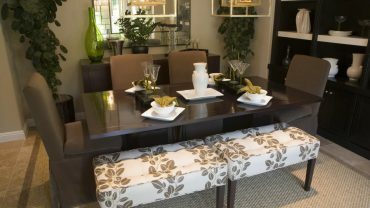 The table is the most important part of any dining room and should fit the space that it is placed. 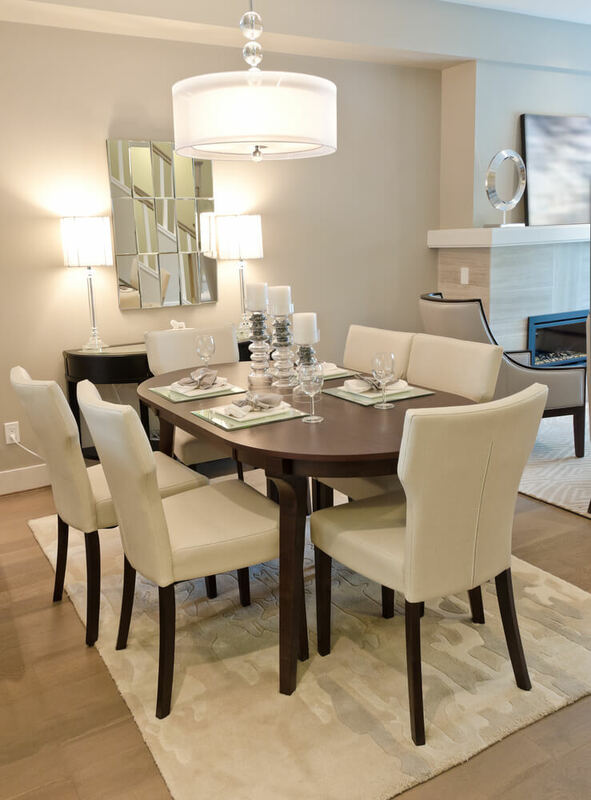 This means that you need to avoid choosing a table that is too large for your dining room. 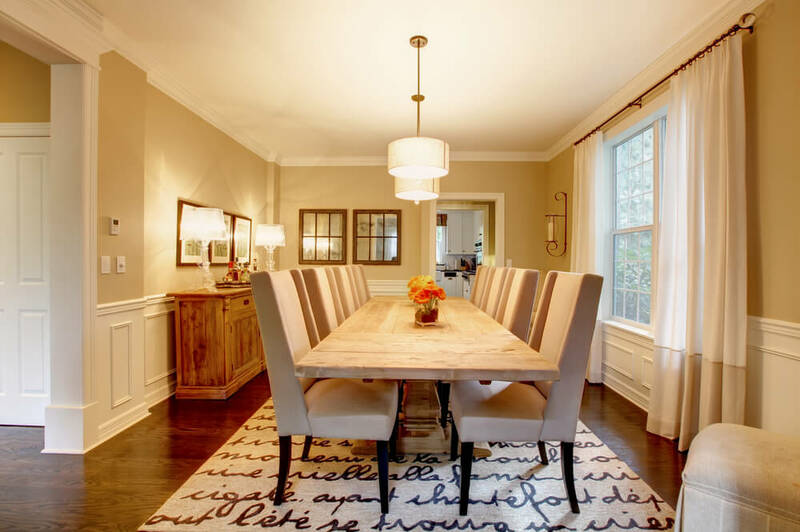 When the table is too large it will be difficult for people to move around it and to sit down. 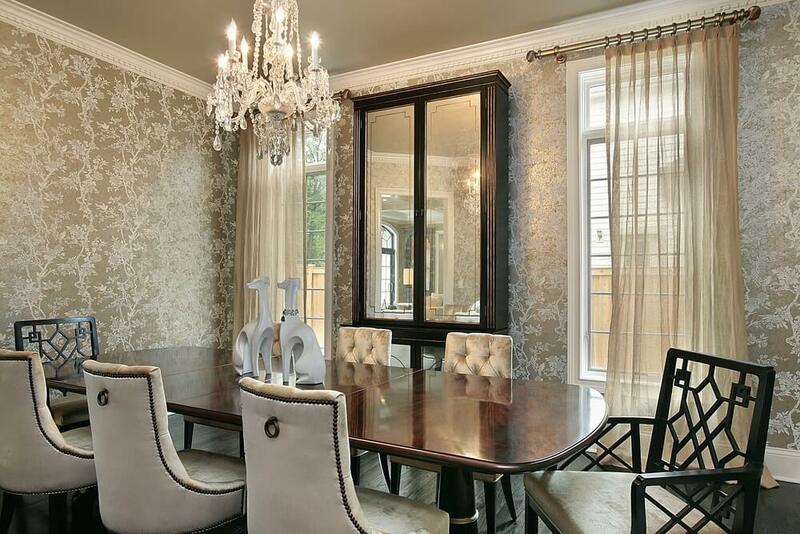 There should be at least 36” between the dining table and the wall. 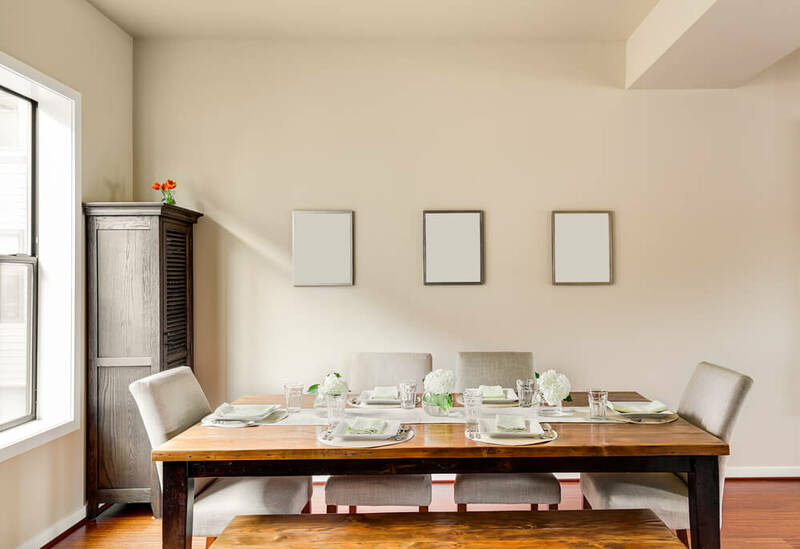 In addition, you should allow at least 48”of space between the table and the entrance to the room to ensure that people can come and go easily. 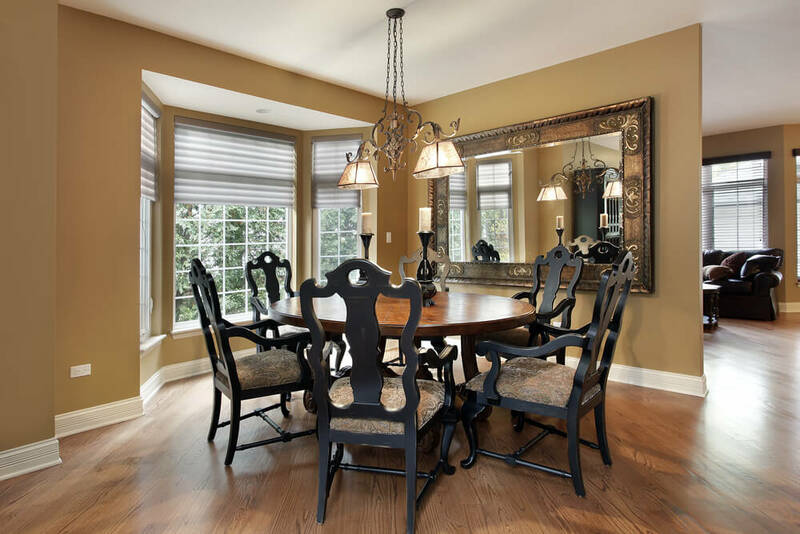 And finally there should be 24” between dining chairs to avoid the uncomfortable bumping of elbows and spilling of glasses.